Ghost in the Machine is Boston's premier tattoo studio, boasting some of the finest talent in New England. Whether you're looking for large custom body work or a classic walk-in tattoo, we've got you covered. With over 75 years combined experience we are proficient in every style of tattooing. We strive to be both an international destination shop attracting top-notch guest artists and serious tattoo collectors, as well as a neighborhood mainstay beautifying our community one tattoo at a time. 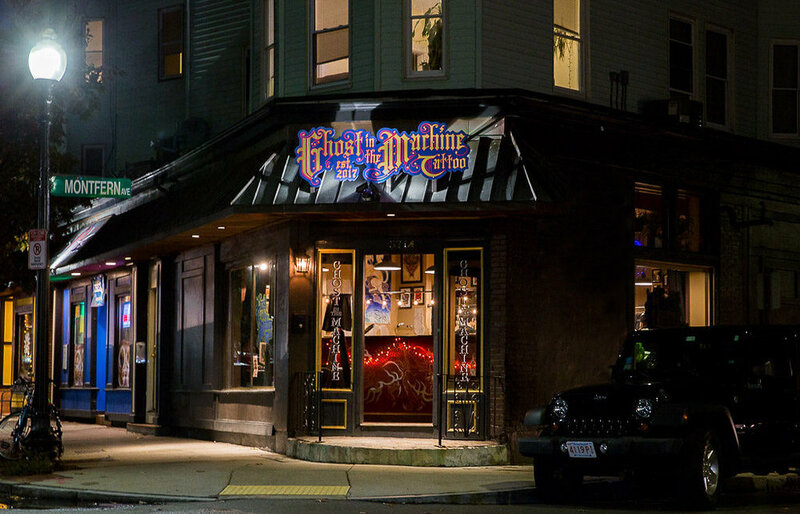 Ghost in the Machine is located in the Oak Square neighborhood in Brighton Massachusetts and is open 7 days a week.